We reserve the right, in our sole discretion, to deny, restrict, suspend, or terminate your access to all or any part of the Website at any time, and/or to remove your profile, account and/or other information for any or no reason, with or without prior notice or explanation, and without liability if we determine that you have violated this Agreement or pose a threat to the Website and/or its Users. Use of the Website is void where prohibited. You must be a natural person at least 18 years old (or older in some jurisdictions, if the age of Majority is older than 18) or otherwise have the express consent of your parents or legal guardians, but in no event younger than 13 years old, to use the Website. By agreeing to these terms or by using the Website, you represent and warrant that you have the right, authority and capacity to enter into this Agreement and to abide by all of the terms and conditions of this Agreement. The Website requests each User seeking to use its services to register and create accounts for validation. Company reserves the right to decline its services to any User for any reason and without explanation based upon its findings in validating the User’s registration. This Agreement, and any posted revision to this Agreement, shall remain in full force and effect while you use the Website. You may terminate your account at any time, for any reason, by following the instructions on the Website. We may terminate your account at any time, for any or no reason, with or without prior notice or explanation, and without liability. Upon such termination, you must immediately discontinue use of the Website, and Company shall in no way be responsible to you for such termination. Even after your account is terminated, this Agreement will remain in effect. In consideration of their use of services provided on the Website, Users agree to (a) provide accurate, current and complete information as prompted by any registration forms on the Website (“Registration Information”); (b) maintain and promptly update the Registration Information, and any other information provided to us, to keep it accurate, current and complete; (c) maintain the security of their password and identification; and (d) be fully responsible for all use of their account and for any actions that take place using their account. Misrepresentation may preclude your use of the Website in the future. You consent to being contacted by Company for purposes of seeking feedback to ensure and evaluate the quality of its services. All content on the Website, including software applications, designs, text, graphics, pictures, information, and other files and their selection, coordination and arrangement (the “Site Content”), are the proprietary property of Company, its users or its licensors with all rights reserved. Site Content may not be modified, copied, distributed, framed, reproduced, republished, downloaded, scraped, displayed, posted, transmitted, or sold in any form or by any means, in whole or in part, without Company’s prior written permission. The license you grant to Company is non-exclusive (meaning you are free to license User Content to anyone else), fully-paid and royalty-free (meaning that Company is not required to pay you for the use on the Website of the User Content that you post), sublicensable (so that Company is able to use its affiliates, subcontractors and other partners such as Internet content delivery networks and wireless carriers to provide the Website’s services), perpetual and worldwide (because the Internet and the Website’s services are global in reach). You represent and warrant that: (i) you own the User Content submitted by you on or through the Website or otherwise have the right to grant the license set forth in this Section 5, and (ii) submission of User Content on or through the Website does not violate the privacy rights, publicity rights, copyrights, contract rights or any other rights of any person or entity. You agree to pay for all royalties, fees, and any other monies owing any person or entity by reason of any User Content submitted by you on or through the Website. Company may reject, refuse to post or delete any User Content for any or no reason, including User Content that in the sole judgment of Company violates this Agreement or which may be offensive, illegal or violate the rights of any person or entity, or harm or threaten the safety of any person or entity. Company assumes no responsibility for monitoring the Website for inappropriate User Content or conduct. If at any time Company chooses, in its sole discretion, to monitor the Website, Company nonetheless assumes no responsibility for User Content, no obligation to modify or remove any inappropriate User Content, and no responsibility for the conduct of the User submitting any such User Content. Company has a policy of responding to notices of alleged infringement on the Website that comply with the Digital Millennium Copyright Act (DMCA), which may include removing material claimed to be the subject of infringing activity. If Company removes material to comply with the DMCA (“Removed Content”), we will attempt to contact the provider of such Removed Content to enable them to make a counter notification pursuant to sections 512(g)(2) and (3) of that DMCA. Please note that you will be liable for damages (including costs and attorneys’ fees) if you materially misrepresent that a product or activity is infringing your copyrights. We will terminate the accounts of any Users and/or block access to the Website of any Users who repeatedly infringe the copyrights of others. The provider of Removed Content may make a counter notification pursuant to sections 512(g)(2) and (3) of the Digital Millennium Copyright Act. When we receive a counter notification, we will reinstate the Removed Content. Please note that you will be liable for damages (including costs and attorneys’ fees) if you materially misrepresent that a product or activity is not infringing the copyrights of others. Detailed identification of the material Company has removed. Certain products and services may from time to time be made available to you by us through the Website. By purchasing any products or services through the Website, you signify that you have read, understand and agree to be bound by the Terms of Sale in this Section 8 in effect at the time of purchase (“Terms of Sale”). These Terms of Sale are subject to change without prior written notice at any time, in Company ‘s sole discretion, and such changes shall apply to any purchases made after such changes are posted on the Website. Therefore, you should review these Terms of Sale prior to each purchase so you will understand the terms applicable to such transaction. If you do not agree to these Terms of Sale, do not make any purchases on the Website. We may accept credit cards and certain debit cards, as forms of payment. 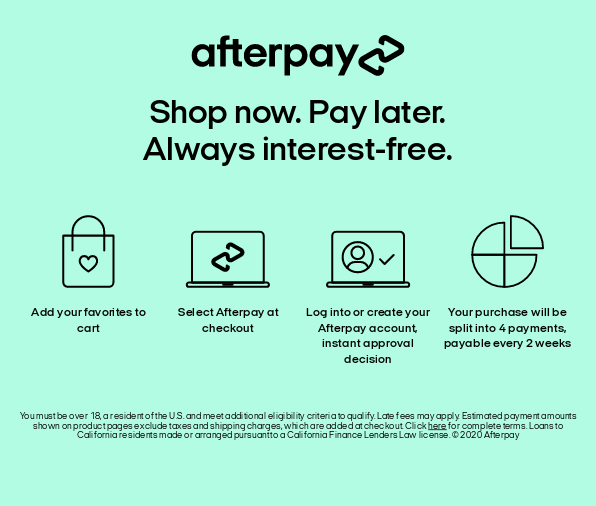 By submitting an order through the Website, you authorize Company, or its designated payment processor, to charge the account you specify for the purchase amount. All payments are to be made in United States Dollars. When you provide your credit card number to the Website, you may authorize us to store your credit card number and related payment information. Your credit card information and related payment information will not be provided to third parties, except to the extent necessary to fulfill your order. Any tangible property purchased through the Website will be shipped FOB Shipping Point. Title to such products passes from Company to you upon shipment. With respect to services you purchase through the Website, you acknowledge and agree that upon making such services available to you (or to their intended authorized recipients), Company will have fully satisfied its obligation to deliver or otherwise provide such services, regardless of any failure or inability to use such services. Company and its suppliers continually upgrade and revise its products and services to provide you with new products and services. Company may revise, discontinue or modify products or services at any time without prior notice to customers, and products or services may become unavailable without notice. Company shall have no liability of any kind if a product or service that has been ordered is unavailable. If necessary, Company reserves the right to substitute items of equal or greater value when an item or service is unavailable or Company may cancel the order. We attempt to be as accurate as possible and eliminate errors on the Website, however we do not warrant that any product, service or description, photograph, pricing or other information is accurate, complete, reliable, current, or error-free. In the event of an error, whether on the Website, in an order confirmation, in processing an order, delivering a product or service or otherwise, we reserve the right to correct such error and revise your order accordingly if necessary (including charging the correct price) or to cancel the order and refund any amount charged. In addition, we may, in lieu of a refund as provided in this paragraph, opt to provide you with a merchandise or service credit, with a value at least equal to the amount charged to your credit card. Company reserves the right to determine and modify from time to time the exact nature of any such merchandise or service credit, including conversion into one or more different types of merchandise or service credits. Your sole remedy in the event of such error is to cancel your order and obtain a refund or credit as set forth above. To request a refund, send an email to Bailey44 ATTN: Customer Service 4700 S. Boyle Ave. Vernon, CA 90058. You will be responsible for any applicable sales or use tax, duties, or other governmental taxes or fees payable in connection with your purchase. If you do not pay such sales or other tax or fee on a transaction, you will be responsible for such taxes or fees in the event that they are later determined to be payable on such sale, and Company reserves the right to collect such taxes or other fees from you at any time. All tangible merchandise, other than reduced-priced “final sale” items, special orders and as otherwise noted by Company, may be returned to us for a refund of your purchase price when you notify us within 14 days of receipt of your order. We do not accept returns after this 14-day period. You are responsible for paying shipping back to the designated location for returned items, unless such item is being returned due to a product defect or error by Company. You must email us at the following email address [[email protected]] first for a return authorization number, and no merchandise can be returned without a written authorization number. Items must be unopened, in new condition, and returned in original shipping containers with original tags attached. All merchandise must be inspected by customer upon delivery. If any box looks dented or damaged in any way, the driver must make a notation and should mark any damages. Boxes opened later and then damage noticed without driver making notation, is considered concealed damage. Some shipping companies do not always cover full refunds on concealed damage items. Company is not responsible for damages incurred during shipping. There are no returns or cancellations for any intangible property or services purchased from Company. All sales are final, noncancelable and nonrefundable except as expressly set forth in this Agreement or as otherwise determined by Company in its sole discretion. You are solely responsible for your interactions with other Users. We reserve the right, although we have no obligation, to monitor disputes between you and other Users and to take any action that we feel may be appropriate in our sole discretion, consistent with the terms of this Agreement, including termination of the account of one or more Users. We are not responsible for any User Content or any other third party content submitted to the Website, whether made or caused by Users or by any of the software, equipment or programming associated with or utilized in the operation of the Website. WE ARE NOT RESPONSIBLE FOR THE CONDUCT, WHETHER ONLINE OR OFFLINE, OF ANY USER OF THE WEBSITE. UNDER NO CIRCUMSTANCES WILL WE BE RESPONSIBLE FOR ANY LOSS, LIABILITY OR DAMAGE, INCLUDING PERSONAL INJURY OR DEATH OR PROPERY DAMAGE, RESULTING FROM OR ARISING OUT OF ANYONE’S USE OF THE WEBSITE, ANY CONTENT SUBMITTED TO THE WEBSITE OR TRANSMITTED TO USERS OR ANY INTERACTIONS BETWEEN OR AMONG USERS OF THE WEBSITE, WHETHER ONLINE OR OFFLINE. We assume no responsibility for any error, omission, interruption, deletion, defect, delay in operation or transmission, communications line failure, theft or destruction or unauthorized access to or alteration of User communications. We are not responsible for any problems or technical malfunction of any telephone network or lines, computer online systems, servers or providers, computer equipment, software, failure of email or players on account of technical problems or traffic congestion on the Internet or at any website or combination thereof. We are not responsible for any injury or damage to any computer equipment belonging to any user of the Website, any User or any other person related to or resulting from use of the Website, viewing, playing or downloading any materials on or from the Website. The Website is provided “AS IS” and, except as otherwise prohibited by applicable law, we expressly disclaim any warranty of any kind, including but not limited to warranties of merchantability, fitness for a particular purpose and non-infringement. We cannot guarantee and do not promise any specific results from use of the Website. No advice or information, whether oral or written, obtained by you from us or from or through the Website shall create any warranty not expressly stated herein. Notwithstanding any other provision of this Agreement, our entire liability to you for any cause whatsoever, regardless of the form of the action, will at all times be limited to the amount paid, if any, by you to us for your use of the Website during the term of this Agreement. Except in jurisdictions where such provisions are restricted, in no event will we be liable to you or any third person for any indirect, consequential, exemplary, incidental, special or punitive damages, including lost profits arising from your use of the Website, even if we have been advised of the possibility of such damages. Those who choose to access the Website do so on their own initiative and at their own risk, and are responsible for complying with all local laws, rules and regulations. If there is any dispute between you and us about or involving the Website, by using the Website, you agree that the dispute exclusively shall be governed by the laws of the State of California without regard to its conflict of law provisions. The state and federal courts located in The State of California shall have exclusive jurisdiction for the resolution of any such dispute. You agree to indemnify and hold Company and its subsidiaries, affiliates, officers, directors, members, managers, agents, representatives, employees and corporate or other partners harmless from any loss, liability, claim or demand, including reasonable attorneys’ fees, arising out of or relating to: (a) your use of the Website (including the submission by you of any User Content) in violation of this Agreement, (b) any other breach of this Agreement by you, (c) any breach of your representations and warranties set forth above, or (d) your violation of any law or the rights of a third party. There is no agency, partnership, joint venture, employee-employer or franchisor-franchisee relationship between you and us or between us and any other User of the Website.